The Frozen phenomenon continues unabated. The other evening my husband and I were treated to the sounds of a drunken teenage garden party wafting though our kitchen window, the climax being when they all started singing ‘Let it Go’ at the tops of their voices. The next day I was impressed by a young pupil who had taken my chart of ‘Let it Go‘ in G and arranged it beautifully, changing the texture and chord patterns to match the moods of the different verses. She played and sang it with confidence, and a voice which is blossoming and evidently benefiting from trying to emulate the singers who sing these songs. I cycled home and put the kids to bed. While I was reading my daughter her bedtime story, I could hear our extremely small neighbour on the other side of the wall singing as loud as was physically possible. Guess what? ‘LET IT GOOOOOOOOOOOOO, LET IT GOOOOOOOOOOO, CAN’T HOLD IT BACK ANY MOOOOOOOOOOOOOOORE!’ Everyone around me is letting it go, and I haven’t witnessed any attempts to hold it back. 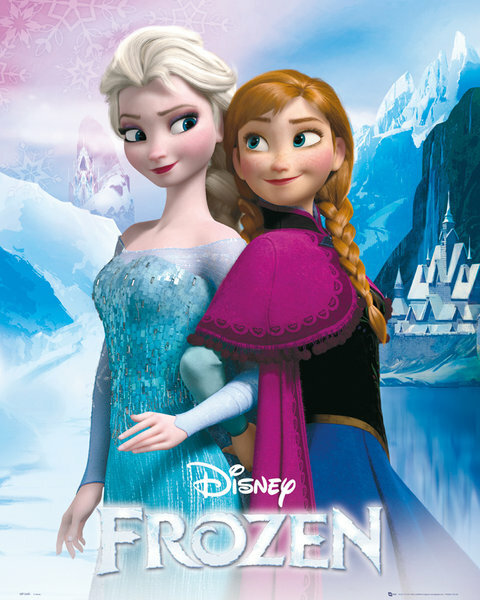 But if ‘Let it Go’ is the number one favourite, then number two is definitely, ‘Do You Want to Build a Snowman?’ The song is pretty complicated chord-wise, and I did put off a couple of girls who wanted to play it together for the next Big Fat Music Party on Monday. But since then I have had yet more girls asking to sing it, so what can I do? Now I’m going to play it and they’re all going to sing it together in one glorious lump. The song is in Eb, which is the worst possible key for guitar! So here it is in the keys of Eb and C.
I’ve chosen some bridging chords to replace the part that goes off into orchestral score and dialogue. The girls just power on through anyway! I’m looking forward to their rendition. I love to see my students work together. Funny that they all want to sing it, it’s such a sad song, with a tear-jerkingly unresolved ending. I was musing over it whilst on my bike the other day (these things tend to stay on the brain! ), it’s not unlike my own relationship with my sister. The bond is unbreakable, it doesn’t matter how long you are apart. Your sister is always your sister (sniffle). This entry was posted in charts, guitar, music teaching, piano, singing, ukulele and tagged chords, Do you wanna build a snowman?, frozen, let it go, music teaching. Bookmark the permalink.